Student Engagement Center | Eugene Spring Break Service Trip Mid-Week Check-In! 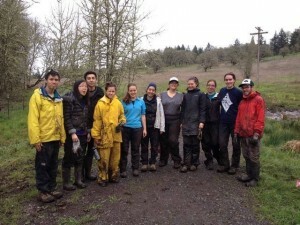 Eugene Spring Break Service Trip Mid-Week Check-In! The second week of service trips is in full swing! Here’s a quick update from the Eugene group. Check back at the end of break for a more detailed account of their service and learning activities! The students on the Spring Break Service Trip to Eugene, OR had a blast today planting native NW species with Friends of Buford Park & Mt. Pigsah! Today was sadly our third and last day working with this organization. Tomorrow onto Friends with Trees to do some urban tree planting!